We hosted our annual Science Week exhibition of the pupils work today within the school and it was a great success. All pupils from the pre-school to the sixth class participated in the event and presented some fascinating science & mathematics work. The pupils in the pre-school had molds from tarantulas and had a real tarantula as well. All the pupils wanted to bring him home, but unfortunately he had to go back to his own house. The pupils from sixth class conducted a number of surveys during the exhibition and then results of these will be posted in the coming days. Today in St. Clare’s PS we had our Science week exhibition. The theme this year was Every Day Science. 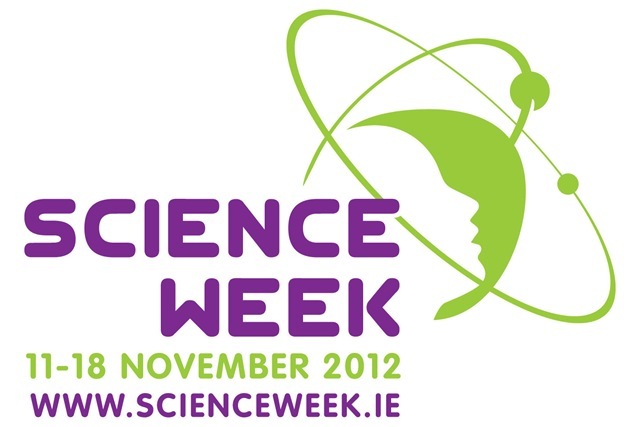 You can find loads of resources on the Science Week 2012 website. The exhibition was a great success and we would like to thank all of the parents and friends that visited the school throughout the exhibition. Here is a list of the stands that were on display at the exhibition. Junior infants did materials and built houses from the Three Little Pigs story. Senior infants took every ones finger prints. First class pupils did the water cycle and also water safety. Third class did magnets and completed some magic using magnets. Fourth class showed us model lungs and also how food colourant travelled up the stems of flowers. Fifth class did some interesting investigations into what food items contain starch. Sixth class displayed their wormery. 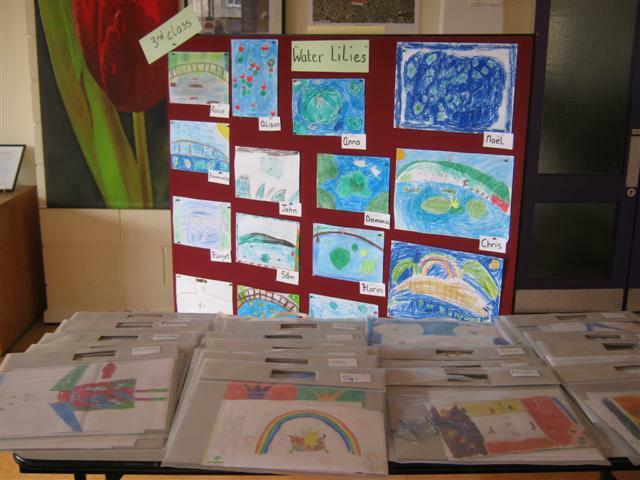 Three 3rd Class pupils interviewed parents at our art exhibition. One parent said it was “absolutely brilliant” and that there were “lovely colours.” He would “highly recommend” coming to the exhibition. Another parent thought the exhibition was “very good.” She also thought that there was “lots of colour” and she would recommend visiting the exhibition. One parent said there was “a real variety of work” from Junior Infants to 6th class. She really liked the Modigliani portraits that 6th class made. The interviewers all enjoyed going to the exhibition. They enjoyed looking at paintings by Leonardo Da Vinci and ‘The Scream’ by Edvard Munch. One interviewer really liked 5th Class’s Pop Art pictures and 6th Class’s Picasso paintings. Thanks to everyone who made last week’s art exhibition such a success! We received wonderful feedback, from parents, teachers and pupils alike. Coming soon: Interviews and presentation of data collected at the exhibition.